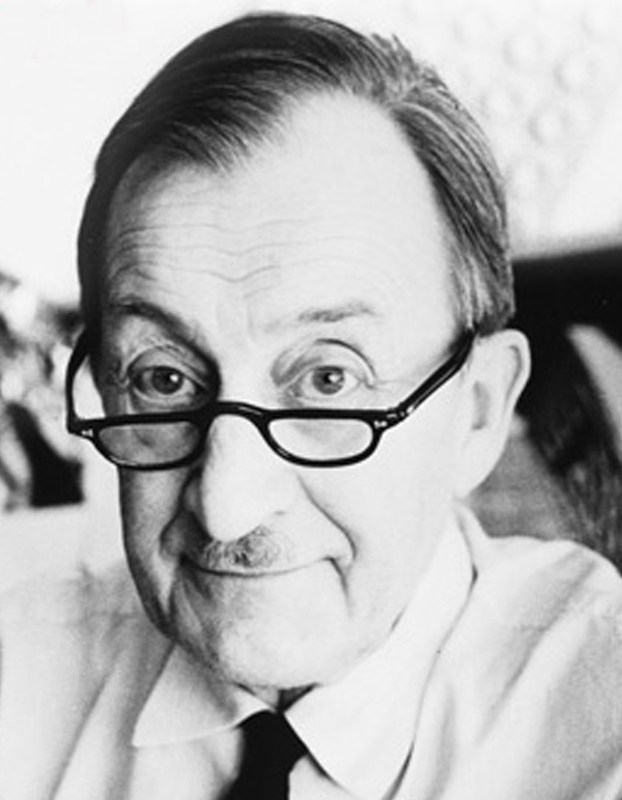 Alexey Brodovitch was born in Russia shortly before the close of the last century. Some 73 years later he died in the remote obscurity of a small village in the south of France. For fifty years of his professional life, most of them in the United States, he was an artist, graphic designer, art director, photographer, and teacher, but above all, he was a pervasive aesthetic presence whose lasting influence was felt throughout the entire visual arts. Yet it was almost by a spin of fate that Alexey Brodovitch came to the arts. When only a callow sixteen, Alexey was caught up in the patriotic wartime fervor of 1914 Russia and ran off to join the fighting with the Russian armies. A parental decree aborted that adventure, but in exchange Brodovitch was sent to an elite military school from which he graduated to become an officer in the Czar’s Imperial Hussars. Ironically, had it not been for that military episode in the life of Brodovitch, we might very well have been denied the gift of his extraordinary talents and the affluence of his special wisdom. For Russia, the glory of the war eventually tumbled into national agony. Revolutionary zeal replaced faded national pride. The ensuing social deluge swept up a wounded Alexey Brodovitch, who with the other members of his family was finally forced to seek refuge from the tide of change. The shattered family made its long odyssey to Paris, which had already become a haven for many Russian refugees. In contrast to ravaged Russia, Paris was a vibrant center of artistic movements and experiment. After a brief employment as a house painter, Brodovitch—still untrained and unskilled as an artist—found work as a set painter for the Ballet Russe, which was directed by its illustrious founder, Diaghilev. This association brought him that much closer to the spirit and thrust of contemporary artistic thought. It was not long before he was giving shape to these ideas in fabric designs and layouts for Arts et Métiers Graphiques, a vanguard review of the graphic arts published by the French typefounders Deberny and Peignot. Within a few short years, Brodovitch’s talents were to develop rapidly in several directions, finding their application in everything from drawing to interior design. The high point of his early career was achieved when Brodovitch won the coveted first prize in a poster competition for the Bal Banal. His prestige heightened by this trophy, he then began to focus on graphic design. For the next five years Brodovitch designed posters for some of the largest French companies that, by good fortune, were openly experimental in matters of graphic design. During this period he also served as art director for two leading Parisian department stores. Within the span of ten years, Brodovitch had risen from the nadir of the disfranchised refugee to a distinguished place in his new profession. In 1930 he was invited by the Philadelphia Museum of Art to create an advertising art department in its museum school. Oddly enough, staid Philadelphia gave birth to the first of Brodovitch’s revolutionary design laboratories, whose flame of inspiration was carried to other cities and was to illuminate new pathways of personal vision in the decades to come. While in Philadelphia, Brodovitch began actively to resume his role as an advertising designer. Some of that work was done for N. W. Ayer with Charles Coiner, the esteemed creative director of the agency. In 1934, Carmel Snow, the editor of Harper’s Bazaar, foresaw the genius of Alexey Brodovitch and urged him to become the art director of her magazine. Brodovitch accepted and remained with Harper’s Bazaar for twenty-five years. Those years became a veritable Periclean age for the publication. The magazine’s effect on editorial design, style, conception, taste and visual intellect continues to resonate throughout the broad compass of editorial design. Brodovitch brought an entirely new sense of orchestration, scale, pitch, flow, line, accent and form to the magazine. By then a man of two cultures, he was able to join the maturity and sophistication of European sensibility with the dynamism of America. To this end, he introduced many of the best photographers, artists and designers of the time: Irving Penn, Cartier Bresson, Christian Berard, Jean Cocteau, Richard Avedon, A. M. Cassandre, Felix Topolski and Saul Steinberg—all of whom enriched the popular culture with their sophisticated vision of our universe. In his personal aesthetic, Brodovitch lived for change. Each editorial achievement was a fact; repetition was banality. Marvin Isreal, a painter and designer who was an associate of Brodovitch at Bazaar, saw him as a man “obsessed with change. Each issue had in some way to be unique…I think it was a state of perpetual optimism.” Harper’s Bazaar, in short, became a center for the most fertile minds in editorial visual communication. Not long after Brodovitch came to New York, he reestablished his lively design laboratory at the New School. In addition to his other consuming activities, he functioned as art director for Saks Fifth Avenue and I. Miller. Many of his former students served as his assistants under the master’s unyielding critical standards. There, too, Brodovitch showed his passion for new visual idioms, creating forms that combined stylistic elegance with ebullience of spirit. In his brief term as art director, he was able to shake the stores out of their advertising lassitude and move them away from dreary conventions. Two of Brodovitch’s seminal efforts came in 1945 and 1950. The first grew out of the photographic studies of the Ballet Russe in action that he had made over several years. When these were published in the book “Ballet,” Brodovitch, who had never been considered seriously as a photographer, had a galvanic effect on the art of photography. His photographs, marking a striking departure from literal documentation, conveyed a lyrical grasp of movement and motion that, in one full burst, extended the range and potential of the camera eye. In 1950, Brodovitch, with Frank Zachary, created a large, sophisticated, elegant and opulently produced magazine entitledPortfolio. Although two decades have passed since its creation, Portfolio still retains an exceptional graphic vitality. That short-lived experiment was one of the unfettered opportunities for Brodovitch to display his advanced editorial visual conceptions. Unhappily, the magazine failed after only a few issues and by commercial standards would be considered only a succès d’estime. It remains, nonetheless, a watershed effort in, the history of magazine design. The visual invention demonstrated in Portfolio has never withered and designers of publications and filmmakers continue to find it a wellspring of visual ideas. As much as we are awed by the grandeur and sweep of Brodovitch’s versatility, whether it be his magazine pages, books, posters, ads, typography, photography or interior design, it is through those who carry forward his teaching that we can best feel the essence of the Brodovitch era. He inspired a veritable legion of artists, photographers, and designers who will always sense the critical eye of Brodovitch, should they ever lapse into self-satisfaction or mediocrity. The guiding spirit of Brodovitch is best exemplified in the poignant description Irving Penn gives of the last meeting with his ailing friend and teacher. It was in 1966 on the edge of Brodovitch’s departure for France, but let Penn tell it: “He asked me to tell him about the work I was doing. I spoke of some long-range experiments. He listened carefully, with already dulled comprehension, and then said: ‘I don’t understand what you are saying Penn, but I believe in it’.” Brodovitch left the United States soon after and was never to return. Only now can we reflect on the good fortune of the social irony that produced Brodovitch. It was Brodovitch the Hussar captain, who resisted a convulsive revolutionary change, that gave birth to the Brodovitch we now know as one of the partisans in man’s continuing visual revolution.